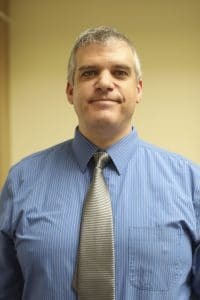 Dr. Paul Schrader began his career as an Assistant Professor of Mathematics for the Department of Mathematics and Computer Science at Southern Arkansas University in 2018. He obtained his PhD in mathematics from Bowling Green State University in 2018 where he was a teaching assistant for five years. His Master’s degree and Bachelor’s degree in mathematics where both obtained from Cleveland State University in 2013 and 2011 respectively where he worked three years as a tutor in undergraduate mathematics. Dr. Schrader’s research interests are in persistent homology, topological data analytics, tensor categories, and non-associative algebras. His current research involves applications of persistent homology in the detection and classification of malware utilizing R statistical software and its topological data analytics packages. He is also investigating optimization strategies of persistent homology for static and dynamic (time-dependent) big data. His recent research into linear deformations on non-associative algebras involved the development of several new types of categorical structures called hom-tensor and hom-braided categories together with generalizations on classical results for tensor and braided categories. (For further details of this research see https://arxiv.org/pdf/1702.08475.pdf). He continues to explore the generalization of these deformations to capture the behavior of, for example, classical non-associative division algebras such as the octonions. Paul is a strong proponent for education reform in mathematics and is working closely with Dr. Zachariah Hurdle on several future initiatives involving the university and community outreach. His teaching methodologies include the synthesis of meaningful technologies with effective novel and classical pedagogies. He is involved in the SAU Math Club and taught high school mathematics for the 2018 SAU Upward Bound Summer Program.